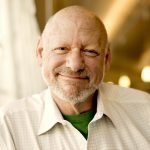 It’s just before the year 2000, and people all over fear the Y2K bug — the destruction foretold when computers stop working and the 21st century begins with a giant crash. But this international scare, which amounted in reality to a big nothing, doesn’t begin to match up to the havoc created when a man suddenly returns after four AWOL years to the little newspaper he co-founded. The monthly tabloid paper, specifically for truckers who traverse northern Idaho’s lonely middle of nowhere, is called The Few. That’s also the name of the exciting, funny and high-strung play that opened Wednesday at Theatre Horizon in Norristown, in a production so genuine that it begs to burst from the theater and land in the street with the real life out there. You don’t have to sit behind the wheel of a big rig to identify with “The Few,” by MacArthur “genius grant” fellow Samuel D. Hunter. 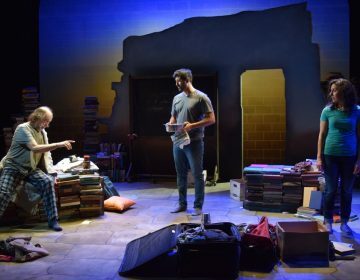 His play about loneliness and connection strikes common chords — here literally, in the resonant Western-tinged original music by Michael Kiley that accessorizes the seamless production directed by Horizon’s Matthew Decker. Hunter, who wrote the over-the-top “The Whale” — a hit four years ago at South Philly’s Theatre Exile — has a way of creating characters who get under an audience’s skin and laugh lines that make that sensation feel good. Another co-founder of the newspaper is a former trucker played by the busy actor Steven Rishard. The tall Rishard, an imposing presence, stands opposite Holum in silence when the play begins. On Christopher Haig’s forlorn newsroom set inside a trailer, the two characters eye each other cautiously — a tableau fraught with … mystery. We haven’t yet met them face-on, but it’s clear they’re not easily about to explain themselves to us or each other. That sense of mystery continues through much of the play, even after we gather some basic details: The two were friends, maybe lovers, and he hasn’t been around in a long time, since after a third co-founder of the newspaper died. What ensues is a jagged truce between the two characters, made more uneven by the presence of an awkward young man who’s become the all-around gofer at the newspaper. He’s played at Theatre Horizon by PJ Barth, a senior acting major at the University of the Arts who easily holds his own alongside two highly established actors. 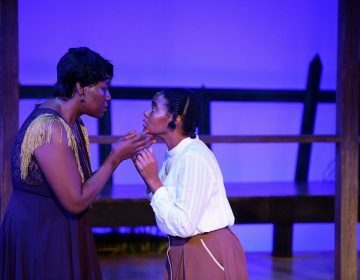 The truce, never specifically mentioned but clearly in effect, is repeatedly broken as the play moves forward along a clean arc that supports the story. But each time it breaks, another piece of missing link is connected by the characters, and by us. 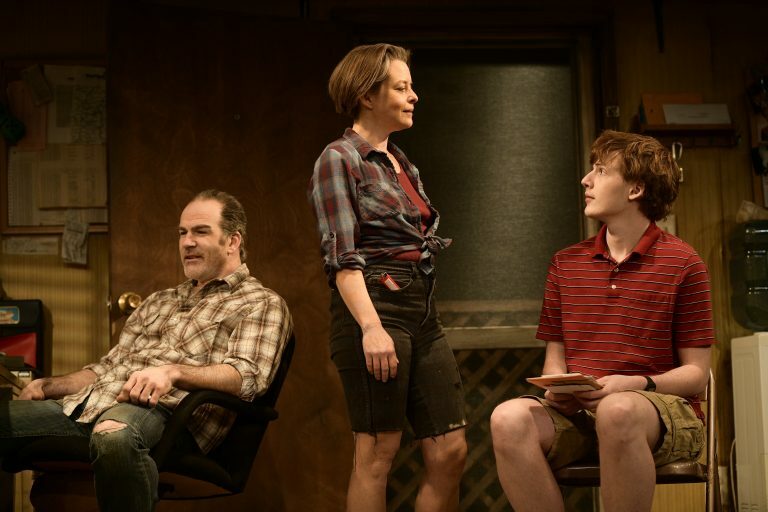 Hunter’s play reminds me of the best work from the late playwright-actor Sam Shepard, in its setting, the characters’ restlessness, and the overall intensity. 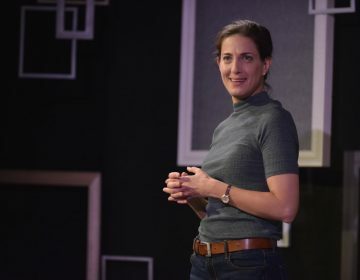 It’s curious that “The Few,” which debuted at Rattlestick Playwrights Theater in 2014, hasn’t already been grabbed by one of Philadelphia’s professional theaters. No matter. Theatre Horizon now does it great justice, grabbing it with a vengeance and, just like the play, holding on tight. “The Few” runs through April 7 at Theatre Horizon, 401 DeKalb St., Norristown. Afghanistan and Omaha are the settings for an alternately funny and sad drama about the meaning of struggle. The musical, in a sterling production, does justice to Alice Walker's book. A one-woman play focuses on two very different family trips to explore her relationship with her father, his past and her present.